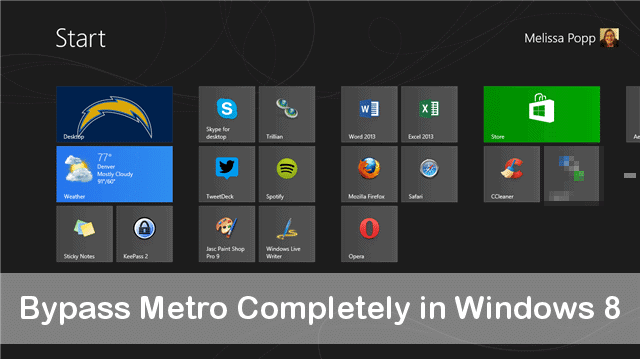 In Windows 8.1 Microsoft allows users to quickly enable the option to boot to the desktop, by skipping the Metro start screen. If you’re sticking with Windows 8 instead of upgrading when 8.1 goes live, we’ll show you to boot to the desktop in Windows 8 the easiest way possible. Booting to desktop would make a lot of Windows 8 users happy. One of the biggest complaints about Windows 8 is the Modern UI, the Start Screen and the lack of the Start Menu. By booting to the desktop and bypassing the Start Screen completely, you can utilize a program like Classic Shell or Start Menu Reviver to replace your Start Menu and get Windows working the way it used to. 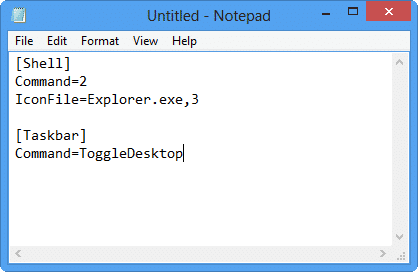 Booting to the desktop in Windows 8 is easy with these two steps. The first step is to create a Windows PowerShell script. 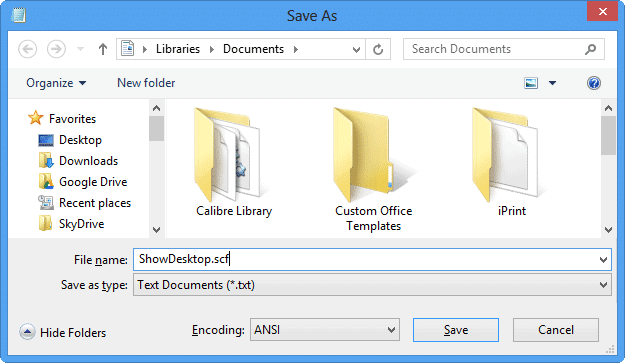 Now, save the Notepad document as a .SCF somewhere safe. You’ll need it in a few steps. 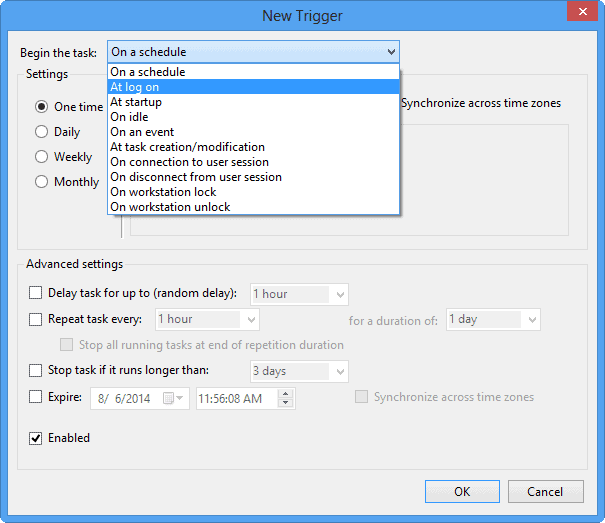 Click on “Schedule tasks” under Settings. 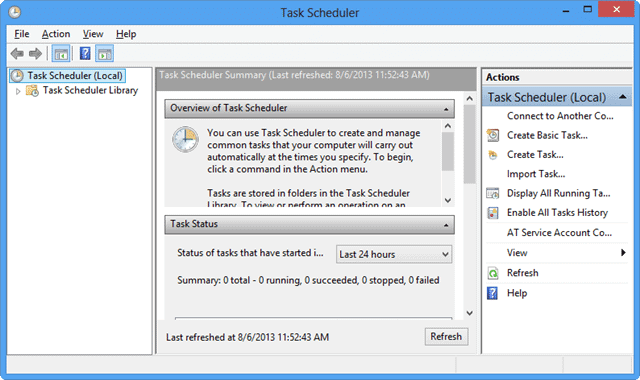 Right-click on “Task Schedule Library” in the left-hand pane of the Task Scheduler. 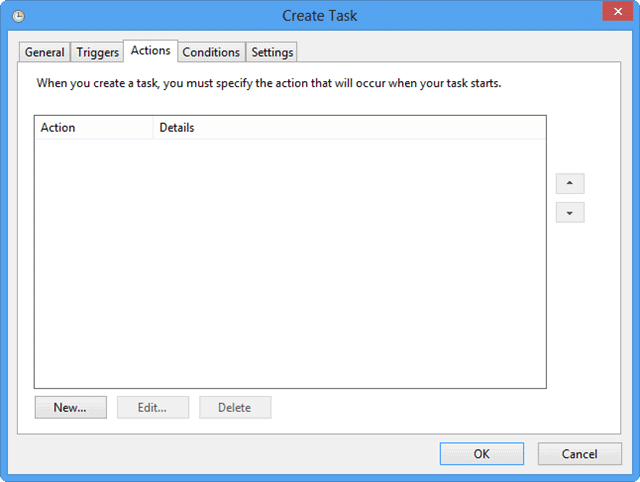 You can name the task anything you want, but it’s best to name it something related to the task at hand. 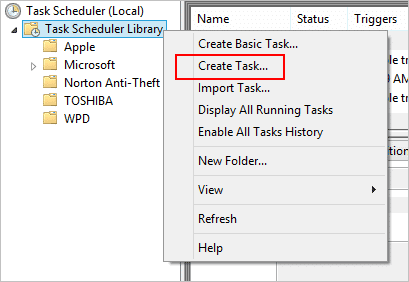 This ensures that if you need to go back to the task, you can find it easily and remember what it is without going through each scheduled task. 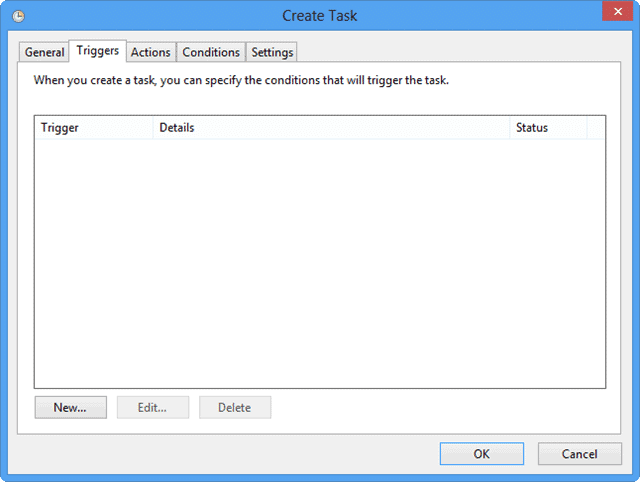 Once you name the task, click “OK” to move forward. Then, click “OK” to move on to the Actions tab. 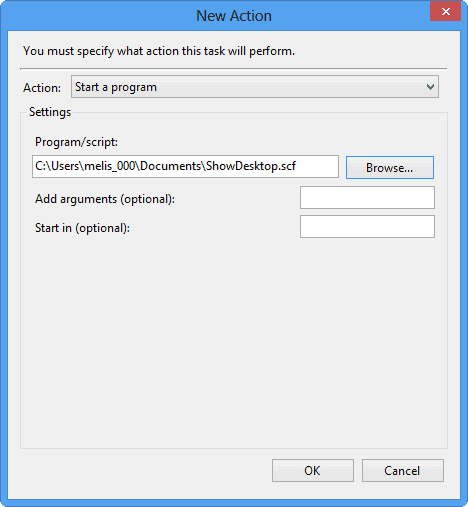 You’ll want to click on “Browse” to navigate to where you saved your Windows PowerShell file. When you find it, click on “OK” to head on over to the Conditions tab. While you can run this on or off AC power, running it on battery power alone will eat up a little more battery life if you’re trying to conserve it. When you boot your computer up next, you’ll boot to the desktop. While there will be a slight delay, it’s better than nothing and being able to run Windows 8 the way you want and boot to desktop as you see fit. 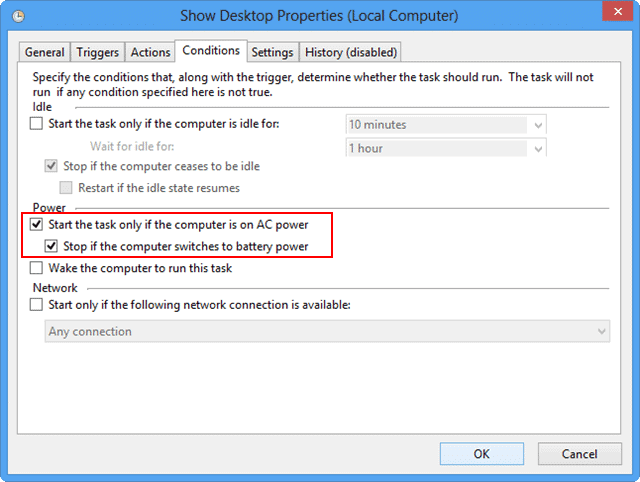 While this method to boot to desktop isn’t foolproof, and you still have a bit of a delay, it’s the best way, for now, to add this feature to Windows 8. If you’re looking to recapture the magic of older Windows versions, using this to boot to desktop and adding a Start Menu replacement is the way to go. 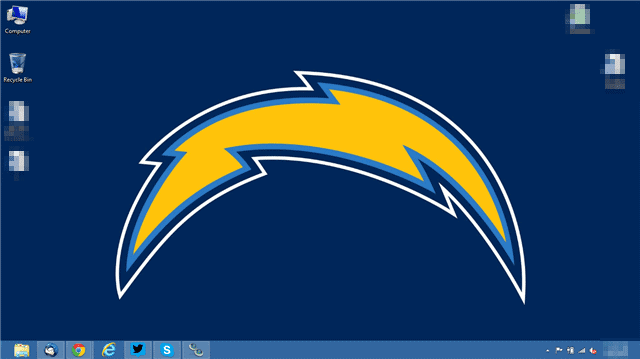 Take control of Windows 8 and use the customization, tools, and programs out there to make it your own.